an overall cut off percentage of 45% in the qualifying examination (40% for SC/ ST) and must have taken up the KEA/ COMEDK. PIO (People of Indian Origin/ NRIs /Foreign Nationals 0 can apply under the supernumerary quota in undergraduate programs. Students applying for postgraduate/ research programs can also check the eligibility criteria on the college website. The college also offers scholarships to deserving students. For ms ramaiah institute of technology admission, students can download the application form from the website, fill it and submit it along with the required documents as per the checklist published on the college website. 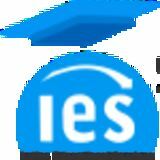 Is The M.S .Ramaiah Institute Of Technology any Good Terms of its Academic Programs and Placements.